I think it’s safe to say, if you’re reading this, you are looking for ways to improve your health. Let’s be honest, we’re all trying to live our healthiest and best lives. Lives full of yoga poses, runs around the park, hikes in the mountains, killer crossfit classes, fruit and veggies smoothies, and healthy eats. We also know that living a healthy life is a noble pursuit! Life is not simple and things are going to get in the way. You press snooze too many times and miss your morning workout; your daughter has a surprise school event you have to make cupcakes for; you’re sick; your best friend is visiting from out of town and wants to try all of the best ice cream places (I’m that best friend!). Whatever the situation may be, know that it is completely okay to restructure. These situations are completely out of your control. These situations are also not an excuse to throw your progress out of the window. 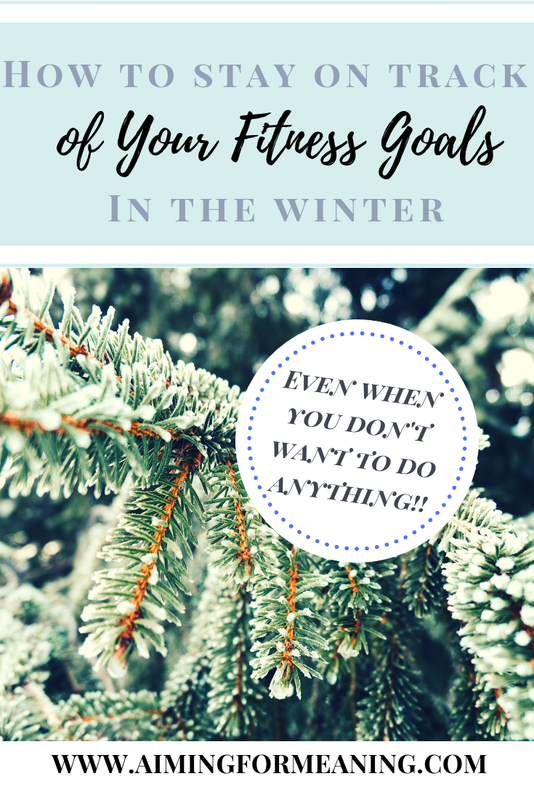 You have to find the healthy balance between making time to focus on your fitness and health goals and being flexible enough to know when it is okay to miss a workout or have a cheat meal. Balance is absolutely 100% the key to success! If you learn to balance your priorities (physical fitness and eating well being two of them), a healthy lifestyle will seem so much more attainable. The goal is to live a healthier life while continuing to do things that bring you happiness. I’m going to share with you 10 things to incorporate into your daily life that may help point you in the right direction. It can be very difficult to wake up at 6am when you are warm and cozy in your bed. It’s like our beds become more comfortable the closer it gets to the morning, it’s a ridiculous phenomenon! Trust me when I say, you will feel much better if you get an earlier start. You’ll get things done and feel productive early on; this will more than likely carry on throughout your day. Before you know it you’ve accomplished everything you planned to. Speaking of planning. It is always a good idea to write a to-do list for the day. I usually do this as soon as my alarm goes off; I’ll grab my cell phone, open the notes app, and type out everything I need to complete that day with corresponding time frames (may not work out according to plan, nevertheless it is now my job to manifest what I have written down). What you eat for breakfast can set the tone for your entire day. Stay away from processed foods and carbs. Mornings are perfect for vegetable shakes, smoothies, protein shakes, and protein rich foods. Stay tuned for my Free 7 Day Meal Plan coming your way SOON! If you set aside 15-30 minutes of your morning to prepare your lunch and snacks for the day, you will minimize the risk of eating junk foods throughout the day. If you follow the 80/20 rule, you are eating healthy, nutrient rich foods 80% of the time and processed/sugar/cards 20% of the time. Moderation is key! Drink 64oz of water a day. If you love water this may be easy for you, if you do not it is going to be a struggle. You have to force yourself! I am not a huge fan of water so I have to force myself to drink it. It helps me to set objectives throughout the day: drink a bottle before work, before lunch, after lunch, etc. Make time to do some sort of physical activity for anywhere between 30 minutes to 2 hours. This will be different for everyone depending on what type of exercise you enjoy. Anything counts! Loved ones are often the source of safety, love, nurture, and so many other things. Spend time with them. I often find that my family, friends, and loved ones nourish my spirit and bring content to my heart in a way that nothing else does. It is extremely important to do something you love and enjoy every single day. Some days we get so caught up in the craziness of every day life we forget to do things that bring us happiness. Remind yourself to read a few pages in your book, watch some reality tv, clean, plan your next vacation, listen to music, anything. Before going to sleep for the night, take a few minutes to reflect on the day you had. Did you accomplish the things you wanted to? Did you not? Did you learn something amazing or interesting? What can you do to make tomorrow even better? You successfully completed today! Give yourself some credit. You are killing it at this life thing! Rest and know you will have another great day tomorrow! Remember, it takes effort daily to make health conscious decisions. If you mess up one day, you will have another opportunity in a few short hours to learn from and improve upon those not so healthy decisions. Trust me, I have been there more times then one. It is okay to slip up so please be patient with your wonderful self. You can do this!